This appropriately named curio shop specializes in Euro-style decorative arts from the ’30s to the ’70s. Expect a fair amount of quirk and kitsch, like the 1930s pressed-leather luggage, red fondue pot, Bakelite bracelets, and bocce balls that vie for attention with other oddities in the store’s bay window. There are also some truly lovely finds among the inventory of art, vintage togs, jewellery and retro technology. Candy-coloured typewriters ($60–$400) are a big draw. Other picks include a glam 1960s Venini glass chandelier ($1,850), a selection of original artwork and amber Lucite earrings ($20). 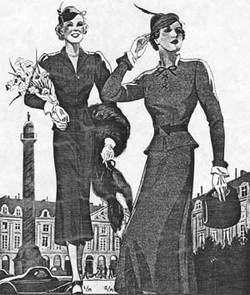 Heavens To Betsy Vintage sells a full range of vintage, retro and out-of-print sewing patterns from 1930's to 1980's and select newer patterns. We also offer vintage jewelry, vintage handkerchiefs, children's books, fashion related ephemera and an eclectic variety of collectible smaller items. 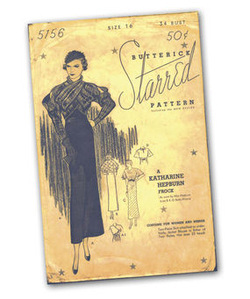 We have over 8,000 items listed online with over 6,000 sewing patterns. All of our sewing pattern pieces are counted and guaranteed complete. All vintage patterns are stored in acid-free polypropylene sleeve protectors and cardboard backings in a temperature controlled environment. The Company has been in business since 1996, with numerous satisfied customers to attest to their excellent service. The web page is very simply yet effectively organized for their extensive collection of products. "Each year, we process over 40,000 pounds of previously worn, vintage clothing - meaning the clothes you are buying are reducing the need for new manfacturing. All of the electricity we use is purchased through Portland General's clean wind energy program. We use high efficiency low water usage appliances in our laundering process, and even offset the energy used by computers visiting our site by purchasing renewable energy certificates from third-party wind and solar farms through co2stats.com. Our 6 acre facility hosts a 4 acre untouched wilderness area with a spring-fed pond that supports local wildlife including deer, elk, bobcat, cougar, and even bear"
Stardust was first launched in 2005 before which, vintage accessories was a hobby of ours which spiralled into a business. 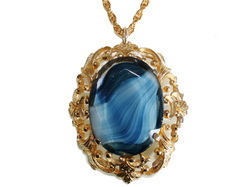 We began by selling vintage jewellery and Designer Hand-Crafted items at Camden and Spitalfields Markets. From jewellery we began to expand our interest to bags then to scarves and before we knew it, just about every type of accessory you can think of. Since Stardust has been up and running we have not stopped adding to the list. We have been shocked at the demand for vintage aprons and pride ourselves in our huge selection. Our latest additions are mens vintage accessories and tobacciana. 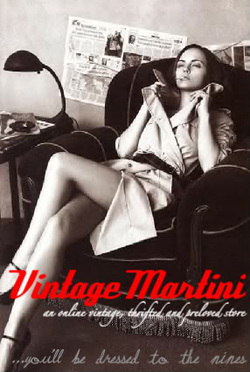 Hosted by two gentlemen, both online and through several vintage shows and fairs, the Vintage Martini is complete with everything from Clothing, Patterns, Hats, Transfers, Ladies Accessories, Ephemera, Barware and Photographs.